Dunwall is a hard city full of hard people—a plague-rotted concrete prison inhabited by exhausted souls who regularly seem shocked that they're still alive. It's easy to forget, while stalking rooftops and slashing your way through Dishonored's starring city, that Dunwall only exists when you're in it. No people reside here; there are no homes or streets beyond the ones you get to visit; the citizens don't eat or sleep or kill when you're not around. That gang war between the Hatters and the Dead Eels? Irrelevant when your machine is turned off. Yet... the illusion is so adroitly crafted, the city so wonderful and horrific, it feels like every time you visit, you're just getting a slice of what's there. Last year we saw Dunwall through the masked eyes of the disgraced Lord Protector Corvo; this time around we're hanging out with the assassin who framed him, Daud. The downloadable Brigmore Witches, out today, is the second half of Daud's story, which began with The Knife of Dunwall earlier this year. The gist: Daud killed the Empress; feels bad about it; is visited by the deity-like Outsider, who tells him to go out and discover the mystery of Delilah. While Knife of Dunwall asked some intriguing questions—Who is Delilah? What does she have to do with Daud? Can Daud redeem himself in some way?—Brigmore Witches is far more lucid. Delilah is a witch. She's doing evil witch things. Daud has to track her down and take her out. What is interesting is the city, and the developers at Arkane have yet again given us a grisly playground that feels simultaneously stylized and lifelike, replete with blood and steam and sewers and whale oil. In this chunk of Dishonored we see a despot-run prison wing, an aristocratic district-turned-warzone, and a flooded manor inhabited by a coven of nasty witches. All are full of death-toys and sidequests and unfortunate people to abuse. You can find your own rhythm as you play through each of these missions: you might prefer to teleport between rooftops and incapacitate enemies, dying intentionally every time you get caught. Or maybe you like to slow down time and blast your way through each mission, gassing the occasional textile mill and murdering a black-market shopkeep every once in a while. Brigmore Witches is ostensibly about Daud's journey, yes, but if you're anything like me, you'll find yourself far more enticed by the little details that make this city continue to impress, mission after mission. Play this DLC not to find out whether Corvo kills Daud, but to meet the creepy Dressmaker, and to find out who's really running the Hatters, and to gobble up every bit of optional detail and lore you can find. 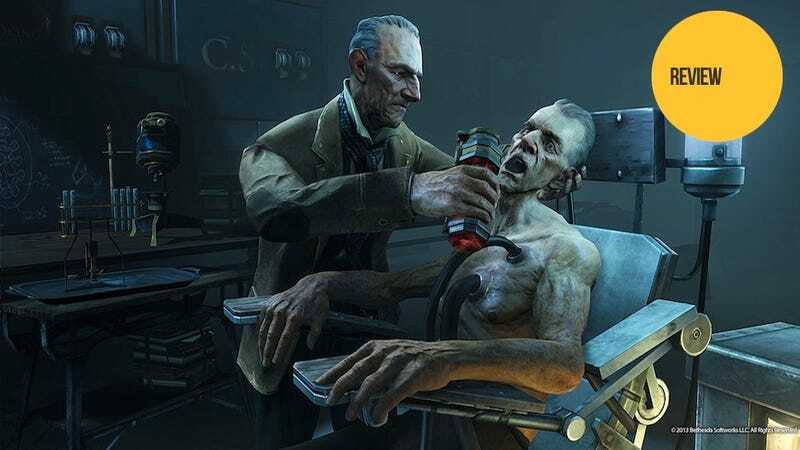 The worst thing I can say about Brigmore Witches is that, as Dishonored's final piece of DLC, this is the last we might see of Dunwall—unless Dishonored's inevitable sequel takes us back to this fascinating city. She will be missed.